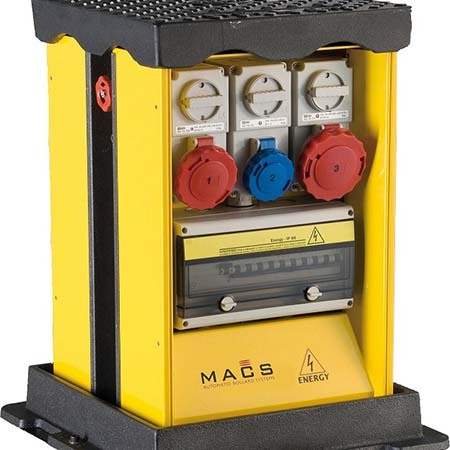 Macs Automated Bollard Systems B4040 energy distribution units are semiautomatic with gas actuators for easy lifting, the current design of distribution towers are the result of over 20 years of development. 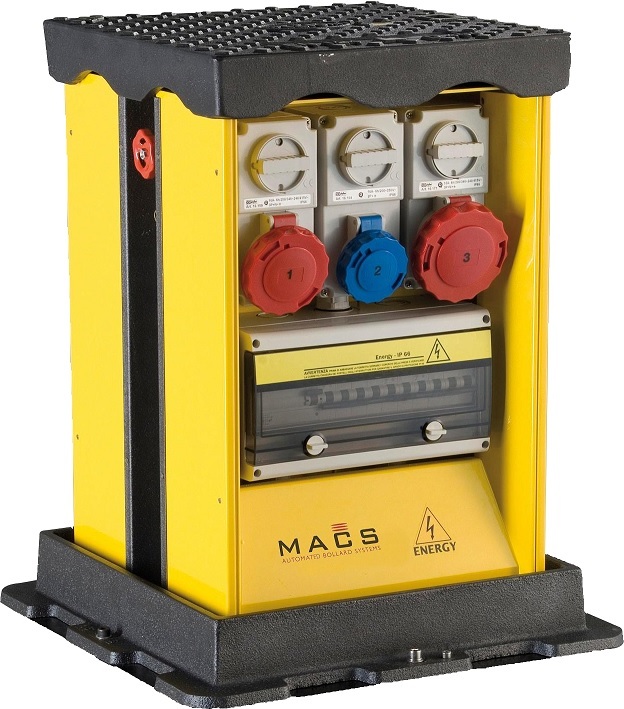 The energy towers allow for installations of single-phase/ or three-phase sockets in 16A, 32A, and 63A in accordance with EN 60301-1 EN 60301-2 regulations and related protective circuit breakers. The rising power supply unit coverplate complies with UNI EN 124 regulations with load class C250 or D400 and has a height of 5500mm and dimensions of 400mm x 400mm. The semi-automatic rising units are ideal for street markets and temporary events, as well as permanent outdoor environments such as stadiums and concert venues. They also provide electricity and utilities such as telephone, water and air, to outdoor places, whilst remaining unobtrusive and secure.